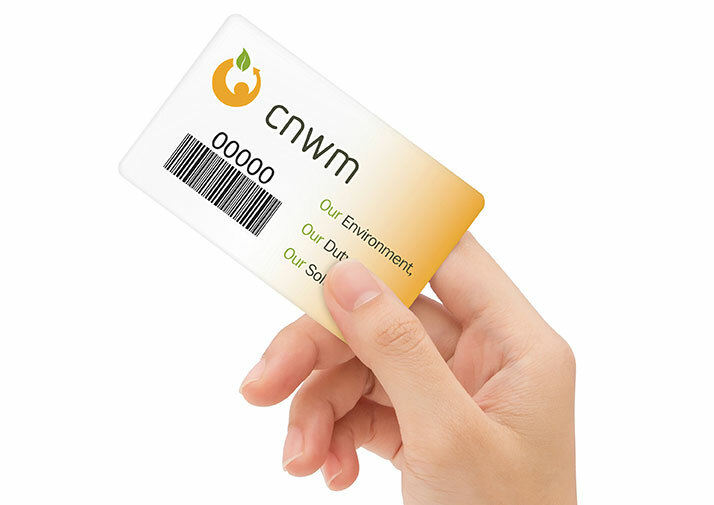 Residents and businesses must have a CNWM Card to access the Central Regional Waste Management site or any one of the seven transfer stations in the region. Getting your card is easy, free and fast. Simply visit the regional site or any transfer site with a valid piece of photo ID that shows your current address. To obtain the card, business representatives must visit the Administrative Office at the regional site in Norris Arm. A valid piece of photo ID is required. Card set-up requires name, address, phone number(s), email address and contact name. (Businesses may obtain as many cards as required to facilitate their services). Business cards are provided at the regional site only. If the card is lost or damaged, a replacement will be issued at the regional site. Having problems with your login or did not include an email address for your account? Please call the CNWM office at 709-653-2900 for assistance. In person with debit or cash at the regional site (residents only). Email using a credit card: Email your credit card information (card #, expiry date, and name exactly as it appears on the card) to info@cnwmc.com; include your CNWM card number in the email. Phone using a credit card: Call CNWM at 709-653-2900 to provide details. Online banking (for Bank of Montreal and Scotiabank customers): Add Central Newfoundland Waste as a payee using your CNWM Card number as the account number. If your card number is not long enough, add zeroes at the beginning of the card number. When you arrive at a CNWM site, follow instructions to enter the scale and stop at the display. Hold your CNWM Card up to the monitor, and when you see “Processing, Please Wait” pull your card back inside your vehicle. Watch for the category of material you are dropping off to appear highlighted, then hold your card to the monitor. Once the system has correctly identified your load, proceed to the drop off area (sites have clear signage). You will be weighed again when you exit the facility. A receipt will be emailed or printed, at your request. Watch this short video to see the CNWM Card system in action.